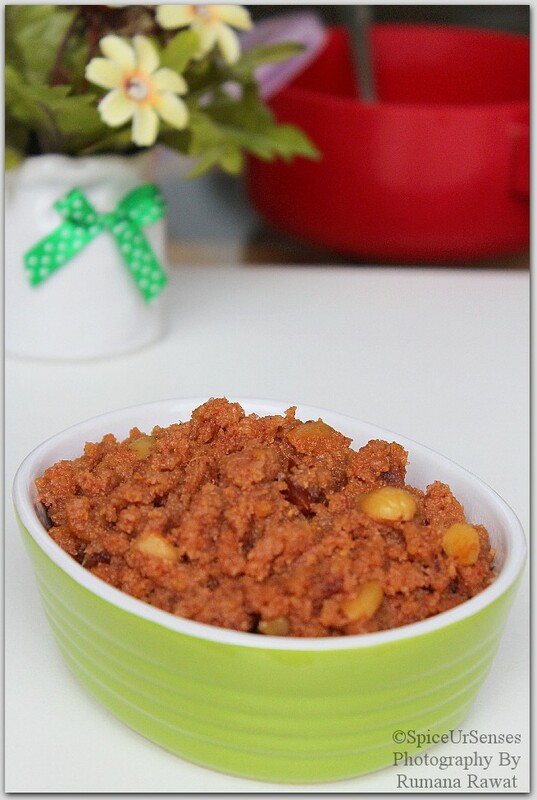 Khajoor Ka Halwa.. 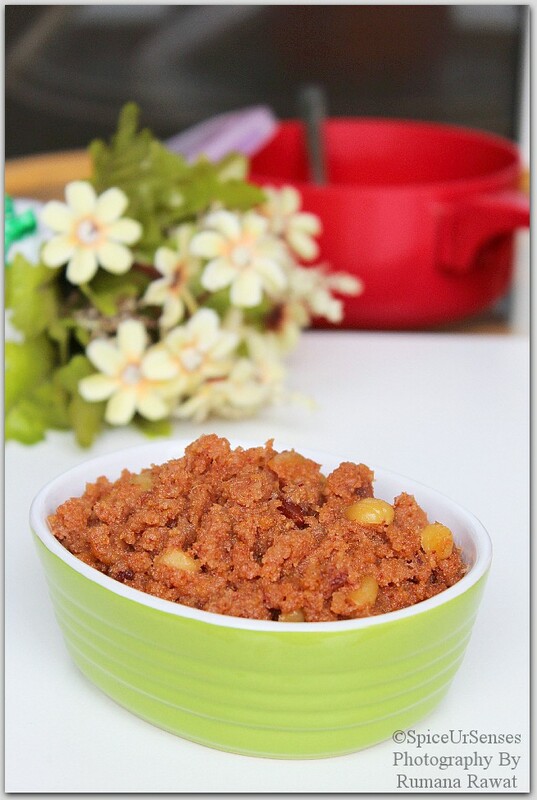 Dates Halwa. 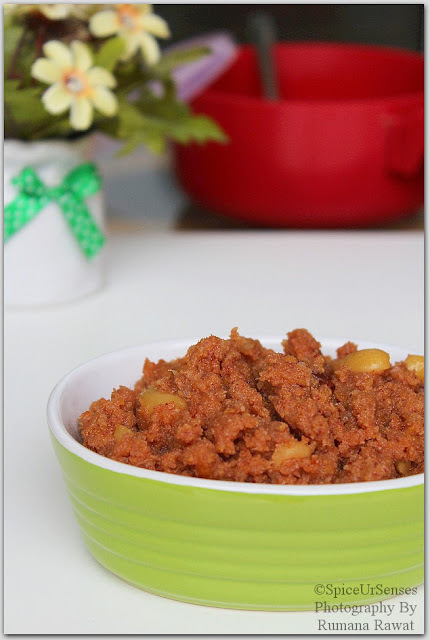 Khajoor Ka Halwa is an a very yummy sweet dish, which can be made easily at home and relish with vanilla ice cream. The combination of dates and dry fruits are to die for and can be stored in the fridge for a week or 2. All you need is just a handful of ingredients to make this delicious halwa. Do try and let me know. Soak the dates over night. Then de seed them and grind to a course paste. In a deep frying pan add the ghee, when the ghee is hot, fry all the dry fruits to golden brown and set it aside. 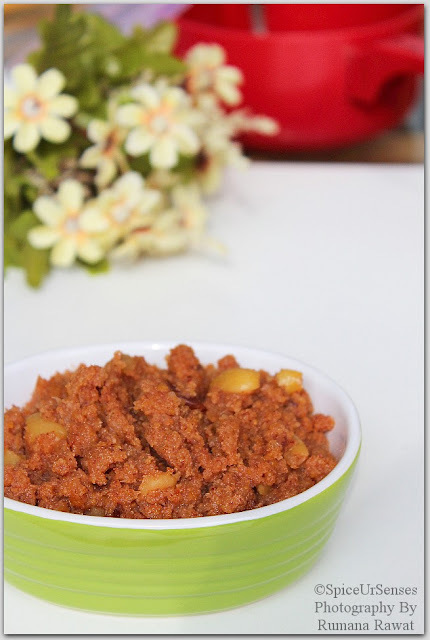 Now in the same deep frying pan add the ground dates paste and fry till it becomes dry, then add sugar and dry fruits, again fry the halwa till it becomes completely dry and ghee starts floating on top.. It must have tasted amazing with all the nuts and fruits. Looks delicious! Think it's high time I should have a date with halwa. Thank you and you should try you'll love it..